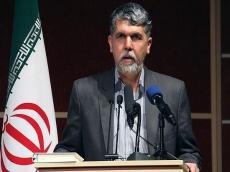 Iran’s delegation consisting of the well-known figures of culture and art, headed by the country’s Minister of Culture and Islamic Guidance Seyyed Abbas Salehi, will visit Azerbaijan to participate in the ‘Days of Culture of the Islamic Republic of Iran’ event, the Azerbaijani Ministry of Culture said in a message June 21. According to the message, the event will be held June 27 - July 1, 2018. The concerts with participation of Iranian figures of arts, exhibitions, screening films and theatrical performances are planned to be held within the event. The holding of the Days of Culture promotes the development of mutual cultural cooperation between the two countries, the establishment of close communication and the expansion of the exchange of experience.